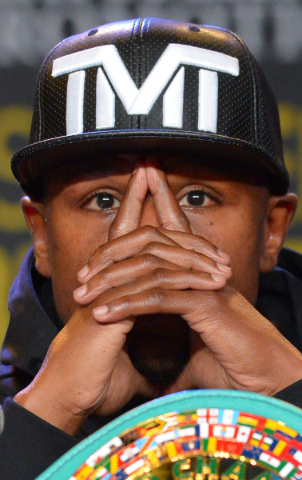 Floyd Mayweather Jr. has everything planned out. Come Sept. 12, he’s going to beat Andre Berto at the MGM Grand Garden to remain undefeated. Then, at age 38, he will bid boxing farewell, having equaled heavyweight legend Rocky Marciano’s 49-0 record as the best ever. 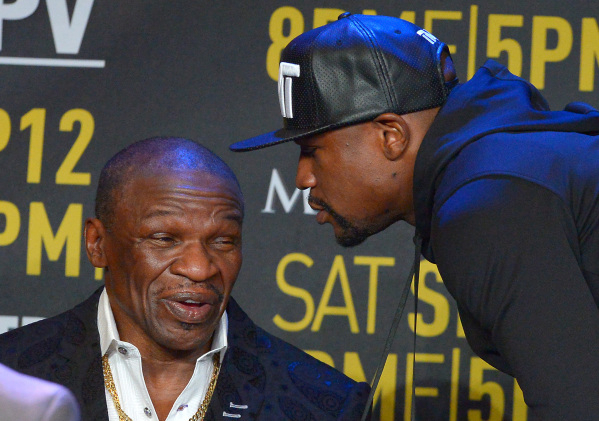 LOS ANGELES — Floyd Mayweather Jr. has everything planned out. Come Sept. 12, he’s going to beat Andre Berto at the MGM Grand Garden to remain undefeated. Then, at age 38, he will bid boxing farewell, having equaled heavyweight legend Rocky Marciano’s 49-0 record as the best ever. The next day, Mayweather is going to sit on the couch at his Southern Highlands home, watch football, count his money, track his bets and enjoy his first day of retirement. He’s going to leave the ring wars to Badou Jack, Ishe Smith, Andrew Tabiti and the rest of the fighters who toil under his Mayweather Promotions banner. But maybe he can use an extra few million. Mayweather told a story of how when he takes his daughters shopping, he has to advise them not to go crazy. “They spend a lot of money, and I tell them, ‘You gotta slow down,'” Mayweather said. This from a man who has multiple Rolls Royces, Bentleys and Bugattis, multiple homes, a private jet and a watch collection that few can match. But Mayweather insisted this is it. Then he hedged ever so slightly when the subject of the MGM’s new $375 million, 20,000-seat arena was brought up. 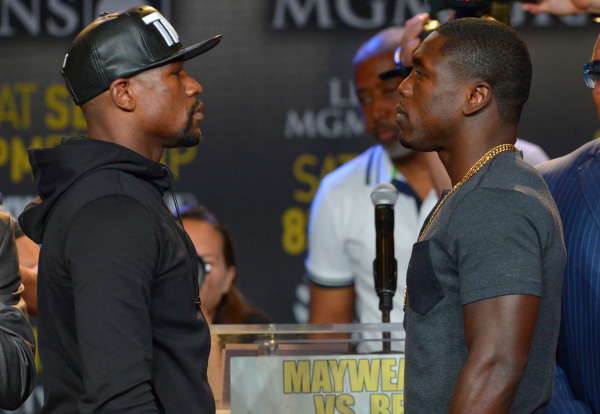 What if Jim Murren, MGM Resorts International chairman and CEO, made a proposal for a Mayweather fight to be the arena’s first sporting event in May? “As of right now, I’m just focused on Sept. 12,” Mayweather said. Mayweather obviously reserves the right to change his mind. He has done so before. He retired in 2007 after stopping Ricky Hatton, only to return in 2009 against Juan Manuel Marquez. “I just needed a vacation,” he said with a sly grin. Assuming he sticks to his word, that the fight with Berto (30-3, 23 KOs) is indeed his last, Mayweather is selling history, that it’s the last chance to see him compete before he heads to the International Boxing Hall of Fame. But the public backlash has been harsh since Tuesday’s announcement, and many fans are blaming Mayweather for choosing Berto over Keith Thurman, Amir Khan, Shawn Porter, Kell Brook or Tim Bradley. Those fighters are in better current form than Berto, who has lost three of his past six fights and is anywhere from a 50-1 to 24-1 underdog at Las Vegas sports books. Boxing fans can watch for $74.95 (high definition) or $64.95 (standard). “Nobody’s forcing anyone to buy the fight if they don’t want to,” Mayweather said. 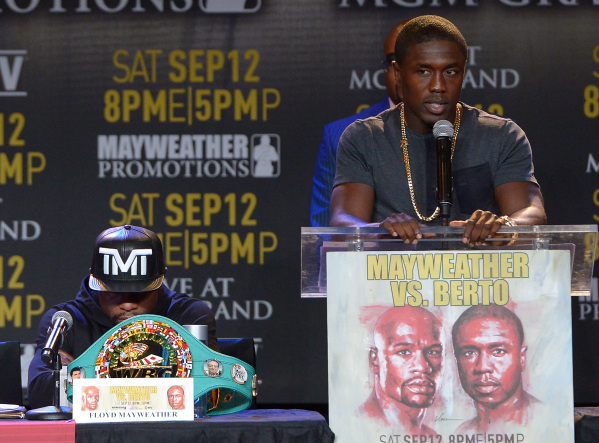 “I chose Berto because he’s a tough competitor who always goes out there and gives it 100 percent and who is exciting. 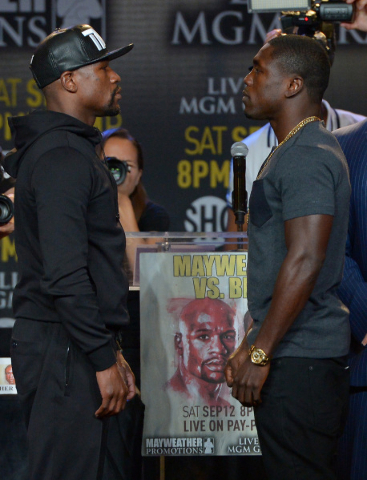 Berto said he and Mayweather should have fought years ago. That they’re finally fighting now isn’t his fault. 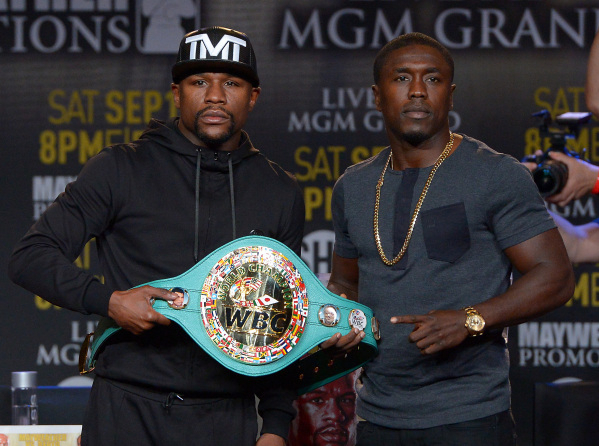 When Mayweather heard Berto’s remarks, he said: “He’s fighting a boring fighter, but he’s getting his biggest purse. Tickets, priced at $150, $300, $500, $750, $1,000 and $1,500, go on sale at 10 a.m. today at mgmgrand.com and ticketmaster.com.